The two-stage, kerosene-fueled rocket climbed into the rarefied upper atmosphere a few minutes following liftoff shortly after sunset at 5:27:34 p.m. PST (8:27:34 p.m. EST; 0127:34 GMT) from Space Launch Complex 4-East Vandenberg Air Force Base northwest of Los Angeles. The Falcon 9 left a brilliant white plume of exhaust in its wake, catching rays of sunshine as it soared above the stratosphere. The ever-expanding plume left a teardrop-shaped mark in the sky, prompting countless social media posts from rush hour drivers and others who happened to catch an unexpected glimpse of the rocket’s trip to space. A few celebrities mused about the sky show. Hip hop artist will.i.am tweeted two videos of the rocket streaking to the west of Los Angeles, and actor Don Cheadle asked his Twitter followers what he was seeing in the sky. But seasoned skywatchers knew what they were seeing. A rocket launch just before sunrise or after sunset can produce a spectacular twilight effect as it passes into sunlight, while observers on the ground are in darkness. 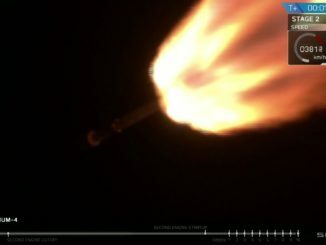 The Falcon 9 turned south from Vandenberg on 1.7 million pounds of thrust from its nine Merlin 1D engines, and surpassed the speed of sound about one minute after liftoff. The first stage’s nine engines switched off, and the booster separated from the Falcon 9’s second stage about two-and-a-half minutes into the mission. The upper stage’s single Merlin engine ignited right on time to drive the rocket’s 10 Iridium satellite passengers into orbit, and the first stage began a controlled propulsive descent back to Earth. SpaceX did not plan to recover the Falcon 9’s first stage booster intact after Friday night’s launch. The company did not dispatch its landing platform into the Pacific Ocean, and the stage flew without the four landing legs required for touchdown. But the rocket still accomplished its customary descent maneuvers, and it carried four aerodynamic grid fins employed to help steer and stabilize the booster on descent. SpaceX officials did not cite a reason for their decision to forego a landing Friday. 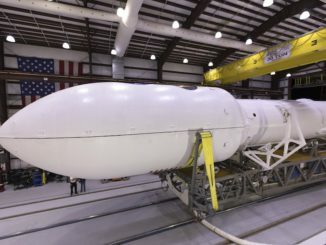 The first stage that launched on Friday night’s mission was a reused booster that first flew June 25 on a previous mission for Iridium, making the Virginia-based telecom company the first customer to use the same Falcon 9 booster twice. It was the first time Iridium has agreed to launch its satellites on a reused Falcon 9 booster, joining SES, BulgariaSat and NASA as customers who have placed payloads on SpaceX’s re-flown rockets. Matt Desch, Iridium’s CEO, said in October that Iridium chose to go with previously-flown boosters on its next two launches — the flight Friday and one in early 2018 — to keep pace with plans to complete the deployment of 75 new-generation satellites by the middle of next year. SpaceX was expected to try and retrieve part of the Falcon 9’s payload shroud downrange from Vandenberg after Friday’s launch. A fast boat linked to experimental fairing recovery attempts, named Mr. Steven, was relocated from Florida to California in recent weeks, and it sailed south from the Port of Los Angeles on a heading toward the Falcon 9’s projected flight path. The fairing detached around three minutes into Friday’s mission, and the second stage engine completed its first burn at about T+plus 9 minutes. After coasting over Antarctica, the second stage reignited its Merlin engine for a few seconds at T+plus 52 minutes to place the 10 Iridium satellites an orbit targeted for 388 miles (625 kilometers) high. The satellites released from a specially-designed dispenser on the upper stage one-by-one until the separation sequence wrapped up at 6:39 p.m. PST (9:39 p.m. EST; 0239 GMT). SpaceX confirmed all 10 of the Iridium Next satellites, each about the size of a compact car and weighing about 1,896 pounds (860 kilograms), radioed ground controllers after arriving in orbit. “Today’s launch is an incredible milestone — we have officially reached the halfway point,” Desch said in a press release. “It was an amazing sight to see the Iridium-2 booster back in flight today, carrying Iridium-4 into space,” he said, referring to the re-flown stage launched Friday that originally flew on the second Iridium Next mission in June. 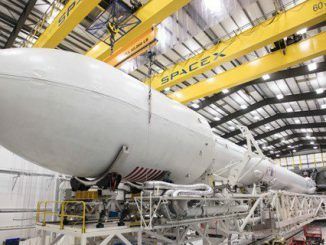 “We are excited to be taking part in SpaceX’s rocket reusability initiative and make history as the first company to reuse the same booster. 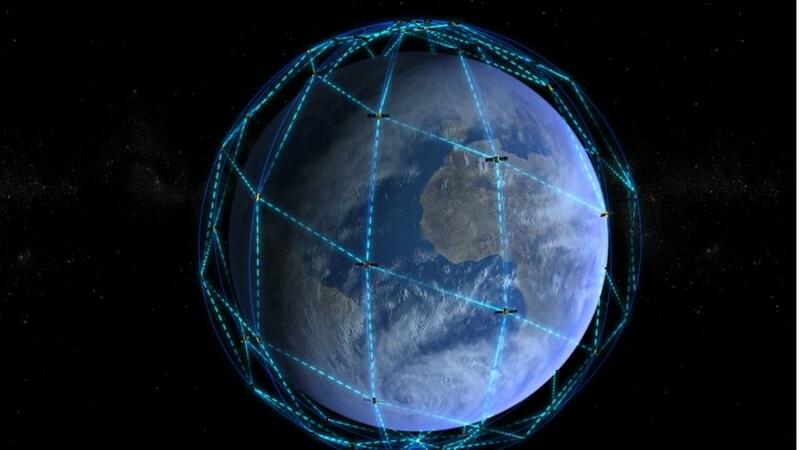 “With over half of the new constellation now in orbit, momentum around the testing of our new broadband service, Iridium Certus, will continue to progress quickly. I know our customers are very excited about our expanding capabilities,” he said. The 10 satellites launched Friday join 30 others launched by three Falcon 9 missions earlier this year, pushing Iridium’s voice and data relay network over the halfway point in deploying a next-generation fleet of 66 spacecraft, plus spares, to replace an aging constellation dating back to the late 1990s and early 2000s. The Iridium Certus offering will permit customers to transmit and receive higher-bandwidth messages, including high-definition video and Internet services. 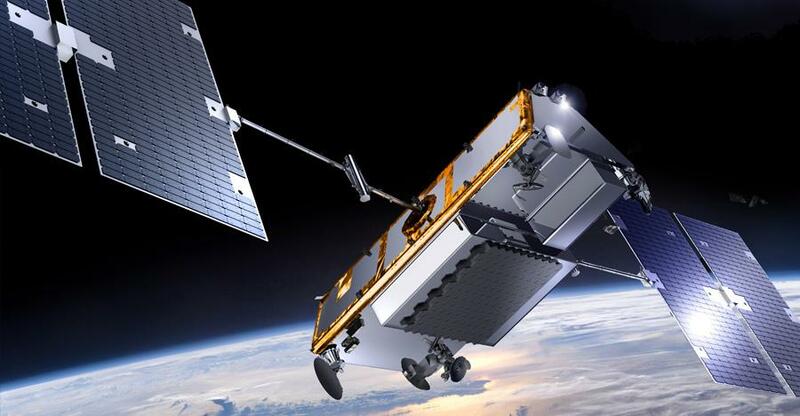 Designed for ships, airplanes and other users on-the-go, Iridium Certus will provide Iridium customers with up to 1.4 megabits per second of L-band connectivity, up from 128 kilobits per second available with the existing satellites. Thales Alenia Space and Orbital ATK are under contract to build 81 Iridium Next satellites, and 75 have been assigned to eight SpaceX launches. Each spacecraft carries inter-satellite radio links to hand off data and voice traffic without transmitting to the ground. The Iridium Next satellites also host radio receivers for Aireon, an affiliate of Iridium established in partnership with air traffic control authorities in Canada, Ireland, Italy and Denmark. The Aireon instrumentation will track air traffic worldwide, including planes traveling outside the range of conventional radars. 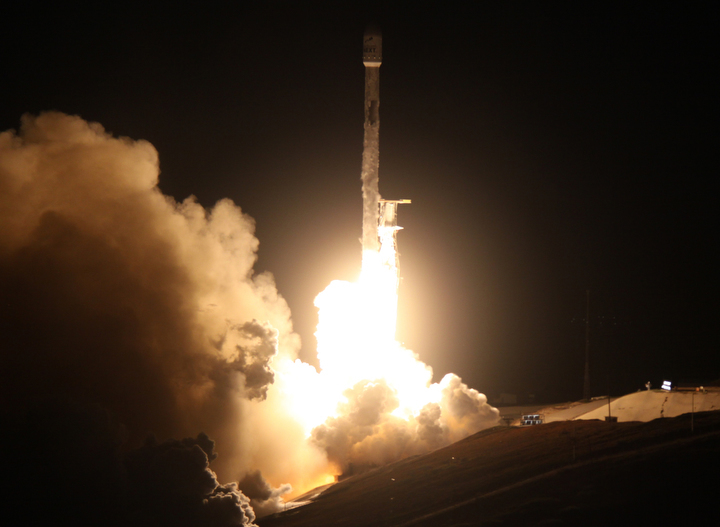 All 10 satellites delivered to orbit Friday night carry ship tracking antennas for Harris Corp. and exactEarth, a Canadian company. The launch Friday was timed to place the Iridium Next payloads into Plane 2 in the Iridium fleet, which is spread among six orbital planes, each with 11 operational satellites to ensure global communications coverage. Nine of the newest satellites will enter service in Plane 2 next year, swapping out with the spacecraft that currently occupy that plane. Another will drift to another plane to begin its lifetime as a spare. Friday night’s mission was the 18th and final Falcon 9 launch of the year, a record number of orbital rocket flights for a commercial space company, and more than doubling the pace of SpaceX’s second-busiest year. SpaceX’s next launch is scheduled for early January from Cape Canaveral, when a Falcon 9 rocket is set to begin the company’s 2018 launch campaign with the mysterious Zuma payload for the U.S. government. 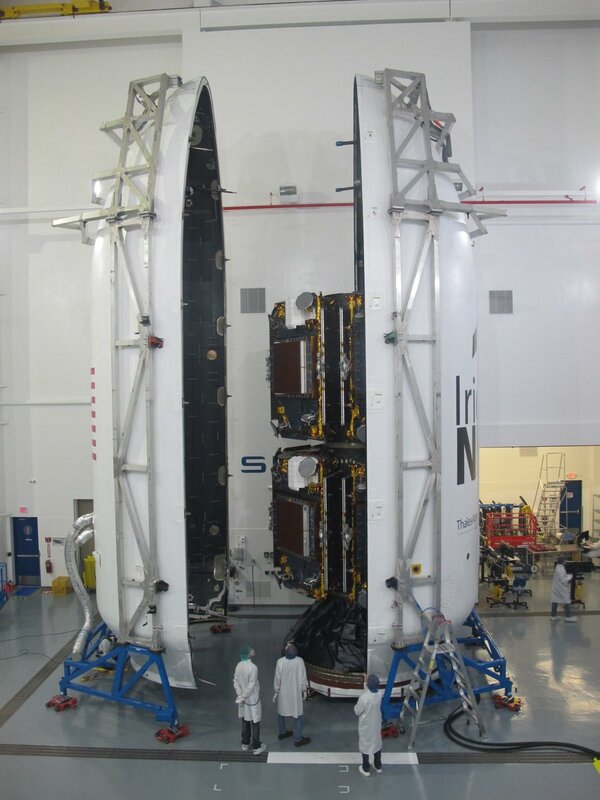 Zuma’s launch was postponed from mid-November for SpaceX to investigate engineering concerns with the Falcon 9’s payload fairing. Friday night’s Falcon 9 launch took off 72 seconds after a Japanese H-2A rocket launched with two research satellites from southern Japan. The back-to-back liftoffs marked the shortest time between two successful orbital launch launches since the dawn of the Space Age, according to Jonathan McDowell, an astronomer at the Harvard-Smithsonian Center for Astrophysics who tracks global space activity.